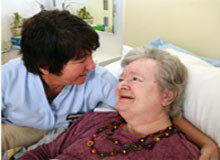 Our excellent team of care staff are friendly, courteous, helpful, understanding and highly qualified. Life in Pinewood Residential Home is a positive experience in which residents, where possible, are enabled and encouraged to do more and not less with their lives. All our rooms are furnished to a high standard and are sizeable and comfortable. Our communal lounge, day room and dining room are well equipped for the needs of our residents and their families. There are no restrictions on visiting times. We have a full recreation programme, including music, exercise, crafts, singing and Tai Chi. We arrange regular events and trips for residents and have an activities co-ordinator who organises communial activities, but also visits with our residents individually. In a tranquil setting high up on the cliffs of the conservation area of Budleigh Salterton, near Exmouth, Devon, Pinewood offers a laid-back lifestyle in comfortable and elegant surroundings with magnificent views across the bay. 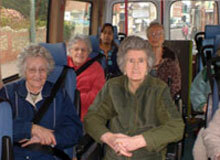 The interests of residents are always at the forefront of our minds at Pinewood. Whether this be in the form of the high standard of care we provide, the varied delicious and nutritious food on offer or the daily activities being held. 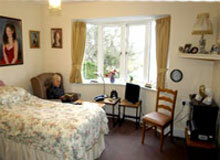 We are there for each individual resident who resides with us. Our activities co-ordinator ensures that life at Pinewood is interesting and varied...from outings in the local area to visiting entertainers, residents will never be bored at Pinewood. Pinewood residents have a fun and varied time with us...but don't just take our word for it, why not read what our residents and their families have to say on our testimonials page.